The 2013 All-District Team for District 10 Class 2 schools has been announced. Recognition for District, Conference, Regional and State awards is done by members of the Missouri State High School Soccer Coaches Association (MSHSSCA). The District includes the Bolivar Liberators, Jeff City Helias, Marshfield Jays and Rolla Bulldogs. Jeff City Helias won the District title 1-0 over Rolla. They finished third at State in 2012. They face the winner of the Republic vs Carl Junction Sectional on Saturday in a Quarterfinal match. Player of the Year: Becky Roberts, Helias. Offensive Player of the Year: Nicole Howard, Rolla. Defensive Player of the Year: Meghan Nappier, Helias. Keeper of the Year: Liz Czarnecki, Helias. Coach of the Year: Mike Howard, Rolla. Keeper: Liz Czarnecki, sr., Helias; Sammy Jacobson, sr., Bolivar. Backs: London Clift, so., Rolla; Elizabeth Harris, jr., Bolivar; Meghan Nappier, jr., Helias. Midfielders: McKenzie Lesh, so., Bolivar; Jordan Poire, jr., Helias; Becky Roberts, jr., Helias; Taylor Hagenhoff, sr., Helias; Amy Jernigan, jr., Rolla. 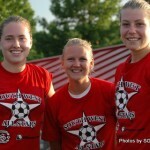 Forwards: Allison Vandiggelen, jr., Marshfield; Nicole Howard, jr., Rolla. 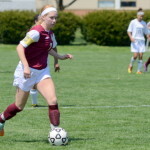 Keeper: Katie Hudson, fr., Rolla. Backs: Becca Roweton, sr., Bolivar; Megan Gilbert, so., Marshfield; Katlyn Cowell, so., Helias; Haley Bax, sr., Helias; Abby Rockers, jr., Helias. Midfielders: Mikaela Insall, sr., Rolla; Brynn Proffitt, fr., Rolla; Shelby Roberts, jr., Bolivar; Megan Gammill, sr., Bolivar; Kaysie Scheuler, jr., Helias; Maddie Lammers, so., Helias. Forwards: Emma Laney, fr., Rolla; Tiffany Weaver, jr., Helias. The 7th Annual All-Star game is being played at the Greenwood Stadium Field at the Cooper Soccer Complex Thursday June 23rd. There will be two games, a Girls game beginning at 6:00 pm followed by the Boys game at 8:00 pm. The rosters for the game have just been released with a new color scheme this year. 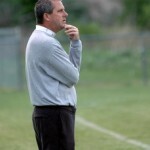 Girls Roster Final 2011 – The Green Team is coached by Jeff Rogers, Glendale and the White Team coached by Ben Timson, Catholic. Jeff’s youngest son, Jake Rogers, returns from a knee injury that kept him out of the Fall season to participate in the All-Star game. He will play for Crowder College in the Fall. Boys Roster Final 2011 – The Green Team is coached by Mike Howard, Rolla and the White Team coached by Jacob Osborne, Carthage. Jason Howard, Mike’s oldest son, is playing and is headed for Lewis & Clark in St Louis following a senior season that included 2nd Team All-State and Central Region Offensive Player of the Year honors. The game features the best graduating high school seniors in this region, as chosen by Eric Sorlie, Duane Moses and Tim Davis of Springfield Soccer Club. The event is organized and supported by Springfield Soccer Club, home to over 20 teams including three State Championship squads (2007, 2008 and recently crowned 2011 Boys U16 Missouri State Champions). Congratulations to Coach Mike Howard of the Rolla Bulldogs on reaching 600 wins in his career Thursday. He came into the game with an 14-6 record this season, his sixteenth season as the only Coach the Rolla Lady Bulldogs have had. 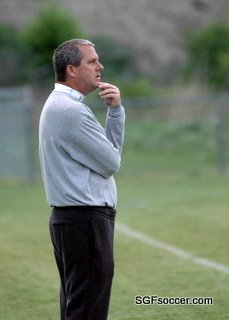 Mike earned his 500th victory on March 22nd, 2008 when the Tigers defeated Hickman as part of the Central Bank Classic that opens the Girls season. His Season record going into the playoffs now stands at 15-6 with a Career overall record of 600-241-58. It includes a Boys record of 306-154-39. 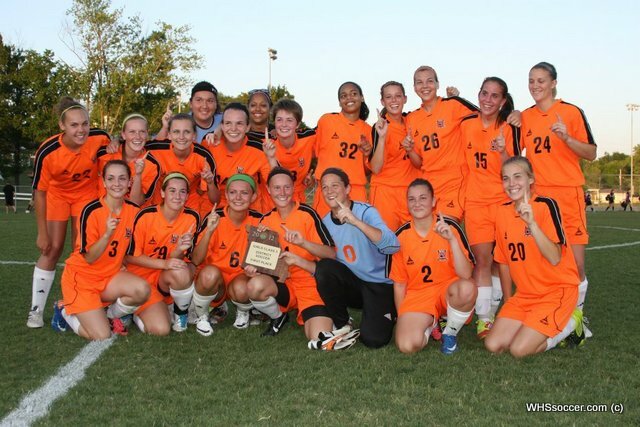 In the six seasons (3 years) since the Girls team won a District title in 2010, increasing the programs total to 10 in the 15 years of the Program. The Boys program won District titles in 2008 and 2010. He’s had several All-State players, including his son Jason Howard who was 2nd Team All-State last Fall and forward Tyler Sinnott was also a 2nd Team player in 2008. 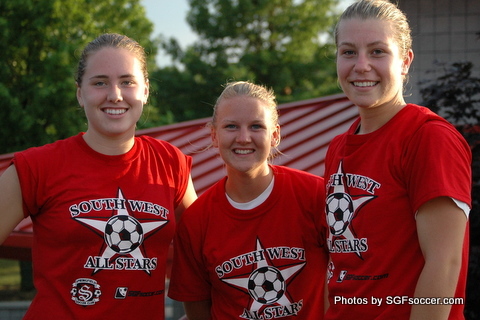 On the Girls side, Adrian Pogue was Honorable Mention in 2009 and 2010 at Goalkeeper and Kaitlin Bramel was 2nd Team in 2008, the last year of 2 Classes in Girls Soccer. Bramel is playing Soccer and Basketball for Fontbonne now. Mike Howard has come a long way. It all began for Howie, as a young boy growing up in the soccer-crazed town of Quincy, Illinois. In 1978, his family moved to Sedalia, Missouri. Mike attended Smith-Cotton High School where he was a three-year Varsity player. In 1984, Howie was a 1st Team All-District Defender for the Tigers, who became the first non-St. Louis School to reach the Final Four. The Tigers finished 4th in the State after losing to DeSmet in the State Semifinal and losing 4-2 to McCluer in the 3rd Place Game. In 1985, Howard was named as an All-State Defender as the Tigers defeated Joplin in a Sectional match before falling in the State Quarterfinals 4-3 to Vianney. Howard didn’t have to go far to continue his playing career. For the next two years he starred as a defender for State Fair Community College in Sedalia. In 1986, Mike was named to the All-Midwest team. It was there that Howard’s playing career ended. He had a scholarship offer to play soccer at Benedictine College for John Senkosky, but decided to attend Central Missouri State University (now the University of Central Missouri). Thursday Games – Yeah Howie! Not yet the final day of games despite the News-Leaders claims today. Top of the list? Mike Howard of the Rolla Bulldogs goes for his 600th career win tonight as the squad heads NE to visit the Union Wildcats, a Class 2 program. The next opportunity would come Tuesday in the District playoff game against Waynesville. UPDATE – The Bulldogs got the win. More tomorrow! There are several Ozark Conference games, the most interesting being Lebanon’s visit to Waynesville. The teams are tied at 4-4 in the Conference, the winner finishes in the Top Half of the Table. from April 26th – The game will start with 24:24 left to play in the first half, with Ozark up 3-0. The two teams will meet on Monday in the first round of the Class 3 District 11 playoffs as well. Osage goals by Summer Dean (2) and Kelsey Abbott. The Indians, only a 3 year old program, got their 3rd win in a row and 7th on the season. 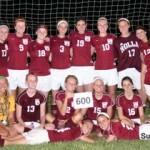 The 600th career win for Rolla Coach Mike Howard, part of the Sedalia Soccer mafia that is spread throughout Central Missouri. More details tomorrow! The Vikings got goals from Emma Chilton (3 and an assist – did that photo motivate her? 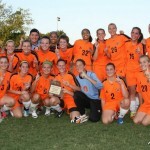 ), Kelsey Loderhose ( 2 and an assist), Mckenzi Payton (2), Becca Castillo (2 – your hard work paid off!) and Alex Shupert. Assists credited to Emily Courtney (2), Olivia Solari and Holly Messick. The game finished 17 minutes early due to lightning. 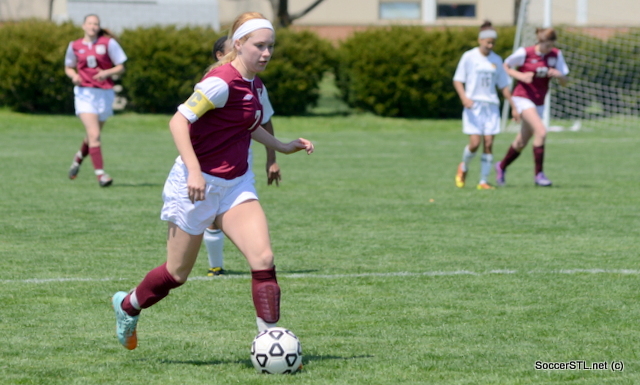 Sara Dowling got both goals for the Tigers who finish 5-4 in the Conference. Lebanon finishes 4-5.